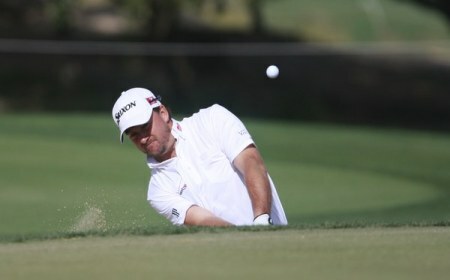 McDowell said: “Augusta used to be a red light for me but now it’s definitely amber with a promise of green. Twelve months ago his short game let him down as he opened with a 75 and angrily declared: “This golf course gets me. It takes me 12 months to forget how much I dislike this golf course. But as the course dried out he slowly but surely he got to grips with it and clinched a career-best share of 12th behind winner Bubba Watson. A closing 68, the lowest round of his 14 competitive rounds at Augusta, gave him massive hope. He left know that he had to improve his chipping and bunker play to be able to compete with the big-hitting right to left hitters like Rory McIlroy. But he’s also learned that he must become less defensive around the greens. As he completed his preparations for the first major of the season, McDowell said: “My short game is an area where I have tried to get better and better. You need a great short game and you need to be a great putter to win at Augusta. “You need a great short game because you need to free up from the fairway. You can’t be trying to steer it around. You can’t be worrying that if you miss you are going to have a hard time getting it up and down. “That’s been my problem in the past. Last year I was pretty down after the first round because I knew how negatively I had thought around the greens as opposed to how I had actually played them. 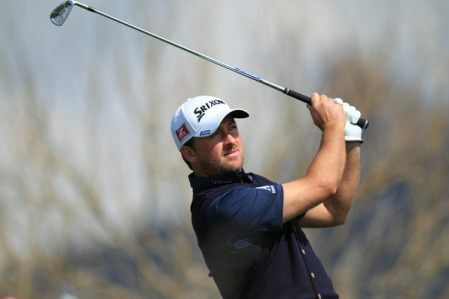 Graeme McDowell finished as the leading European in the Masters after a gutsy 69 left him on four-under par.